MORE than 25,000 homes are without power on the Sunshine Coast as evacuation centres have been set up across the region amid cyclonic rain and wind. Isolated communities include Kenilworth, Conondale, Crystal Waters, Kin Kin and Coran and more than 100 roads are cut across the region. Video report on flooding in Pomona: Patrick Williams makes it to Pomona as rains finally stop. 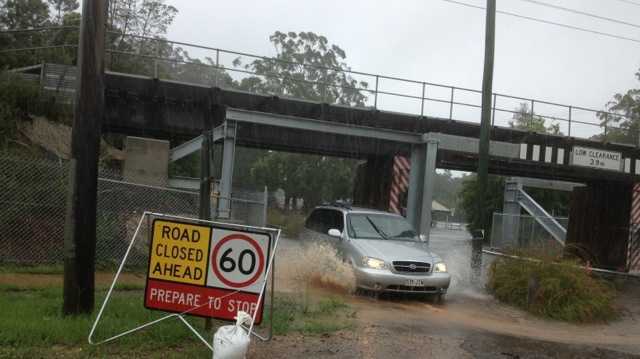 At Palmwoods, SES were guiding cars and four wheel drives onto the footpath under the rail underpass which is one of the first places to flood on the Coast. Residents at Black Mountain have described hurricane winds hitting the area. At Gympie, there have been swiftwater rescues. In Mooloolaba, what has been described as a tornado has hit, damaging homes. The Sunshine Coast Airport has been shut. Sunshine Coast Local Disaster Management Coordinator Alan (Fox) Rogers said the latest update form the Queensland Bureau of Meteorology show the worst of the weather was hitting the Coast and would continue all day and overnight. "The BOM has indicated the weather system will bring up to 300mm of rain and winds reaching speeds of more than 125 km/h during the next 24 hours," he said. There were reports of wind sounding like a jet engine or steam train hitting Buderim, Tanawha and Mooloolah overnight. One man at Buderim told local ABC radio that he saw flashes of light in the sky but did not hear thunder. It was suggested it may have been power arcs from power lines coming down in the area. The State Emergency Service has received more than 800 requests for assistance in the 24 hours to 5am Sunday. More than half of these jobs were concentrated on the north coast area, which stretches from Bundaberg to the Sunshine Coast and inland. Central Queensland was also a focal point for SES response, with more than 160 jobs actioned. There were more than 55 jobs in the Brisbane area and more than 75 in the south east. The most common jobs have been for leaking roofs, roof damage and sandbagging. Patrick Williams in a very quiet Cooroy as storms wreck havoc: Patrick Williams in a very quiet Cooroy as storms wreck havoc. Mr Rogers stressed for people to stay inside. 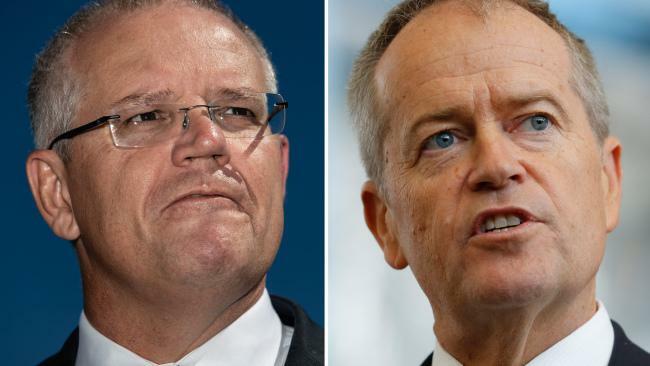 "The bureau is advising that when the weather will include destructive and unpredictable winds, with the possibility of tornadoes, heavy rainfall, abnormally high tides and dangerous surf. "The best advice we can give at this time is to ask people to travel only if needed and to check on neighbours who may be vulnerable at this time. "Remember - whether driving or being tempted to enter a river or creek - if it's flooded - forget it". "We don't want our emergency service officers and volunteers to be risking their lives responding to accidents that could have been avoided." "The Nambour Showgrounds, Coronation Avenue, Nambour will be open for caravans from 9am. "If you must travel, check for road closures on www.sunshinecoast.qld.gov.au or on Main Roads website www.131940.qld.gov.au before your start and follow instruction, including detours, on any road side signage. For emergency help in storms and floods call SES 13 25 00. For more information, tune into your local radio station and keep checking back on the Daily's site which is providing expanded coverage throughout today and tomorrow.